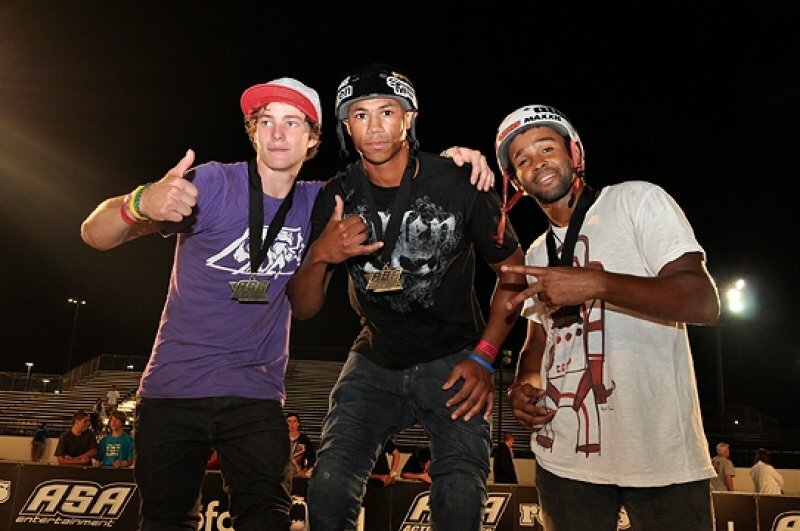 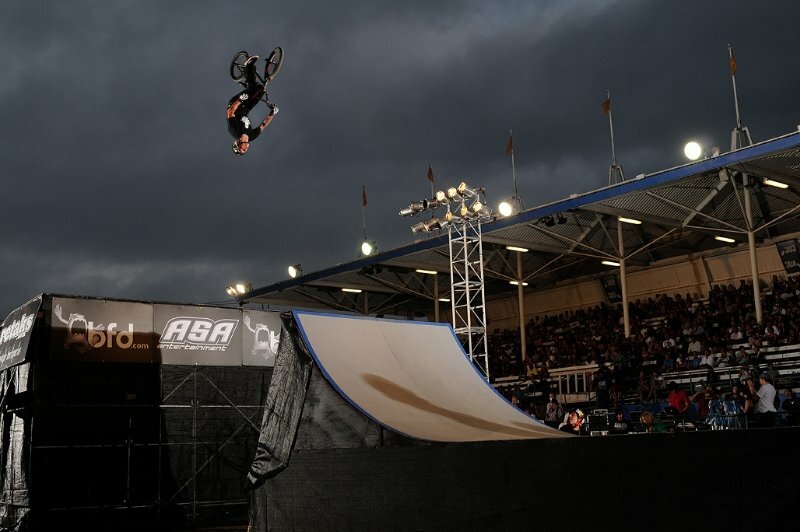 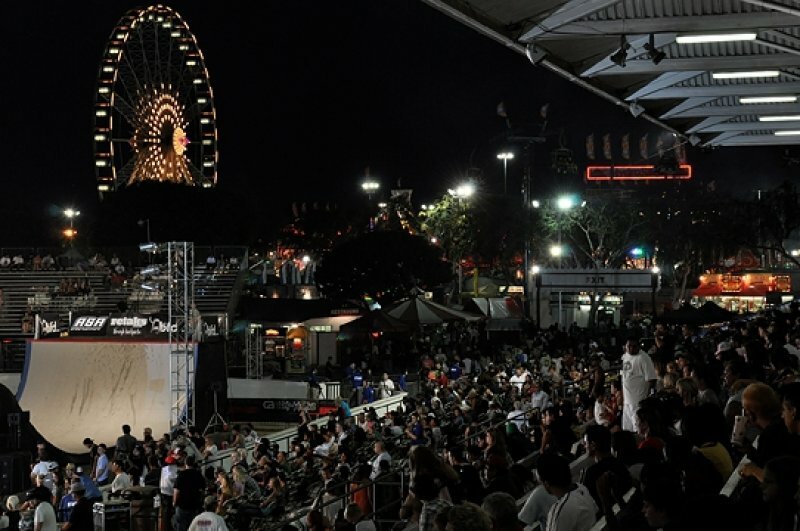 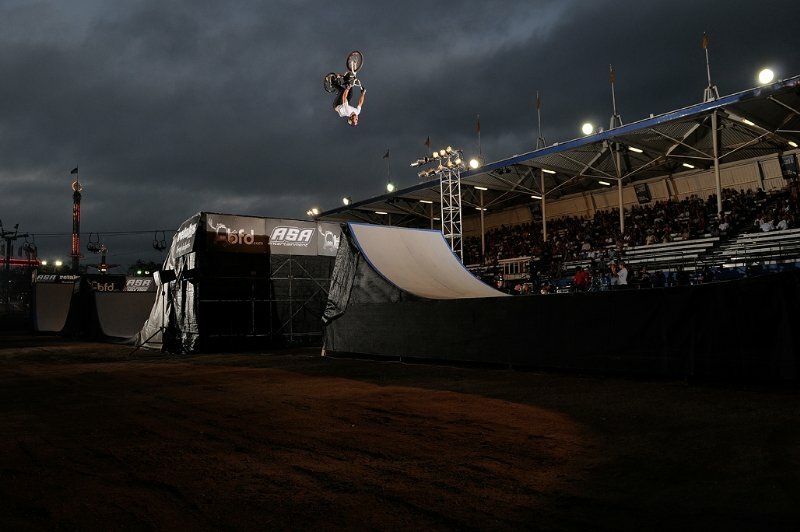 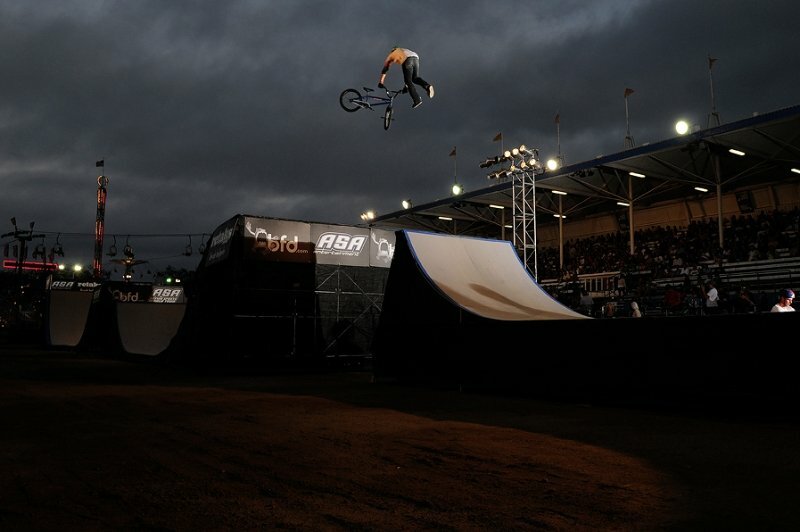 ASA Big Air Triples returns to Southern California for a three day event at the OC Super Fair. 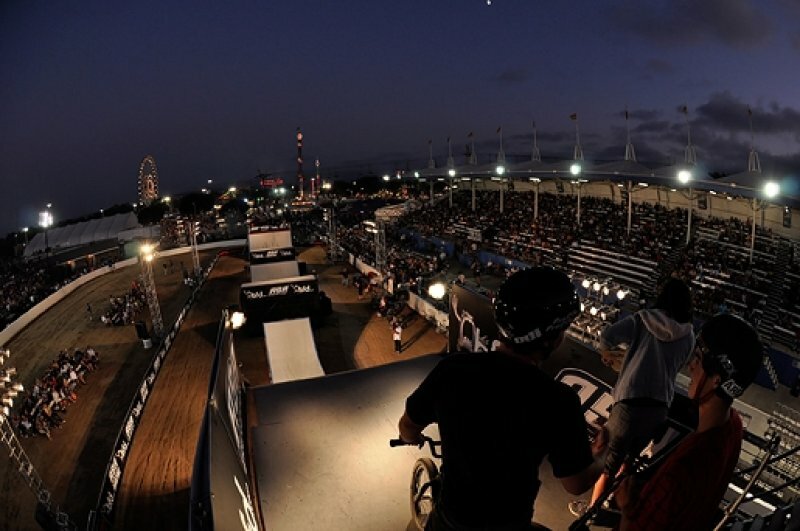 Fans will see the top professional BMX freestyle athletes soaring over the 170-foot course, flipping and whipping with powerful skill and expertise through two 25-foot jumps, and a course-ending quarter-pipe. 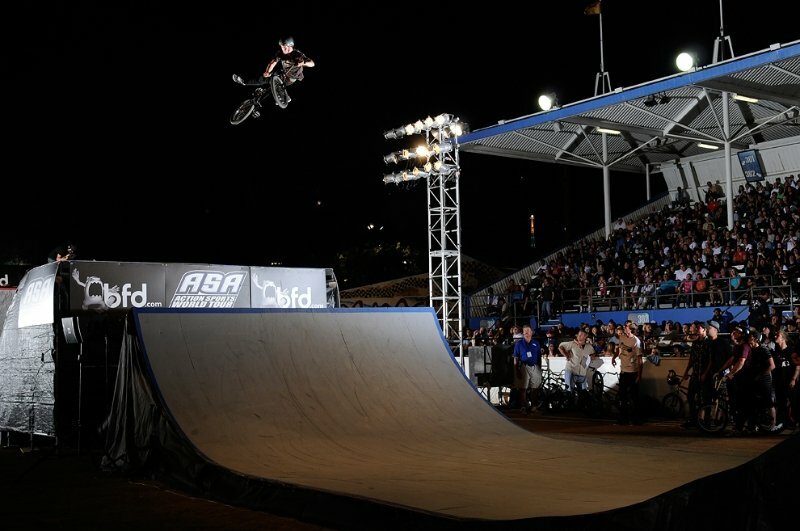 After two nights of qualifying rounds, the finals brought along big names like Ryan Guettler, Brandon Dosch, Austin Coleman, and Josh Hult, along with some newer faces to the tour like Andy Buckworth and AJ Anaya. 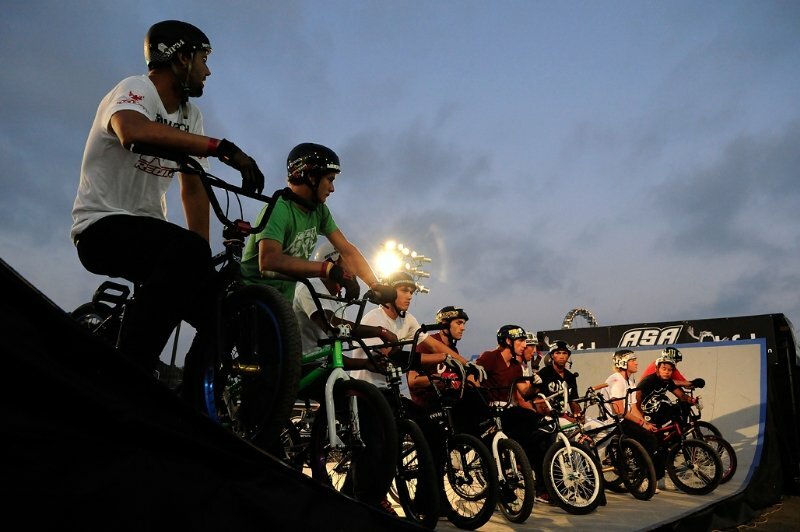 The riding during the qualifying rounds had been amazing, so no one knew what to expect going into the finals. 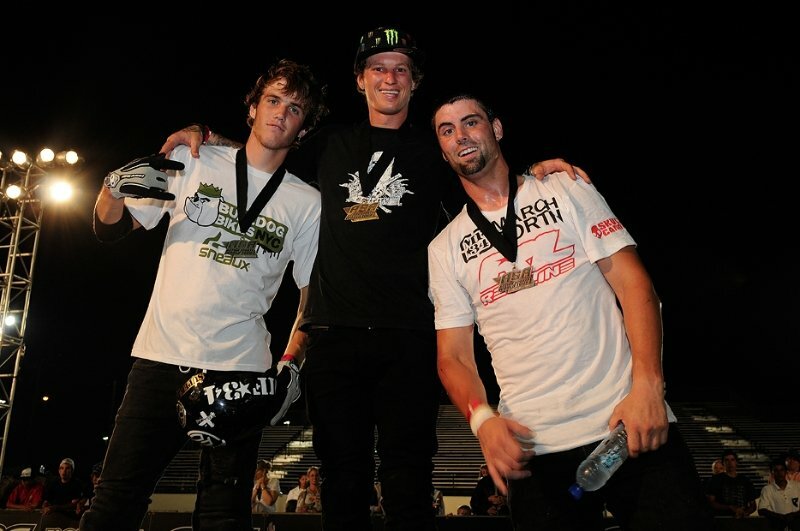 What else did these guys have in their bags? 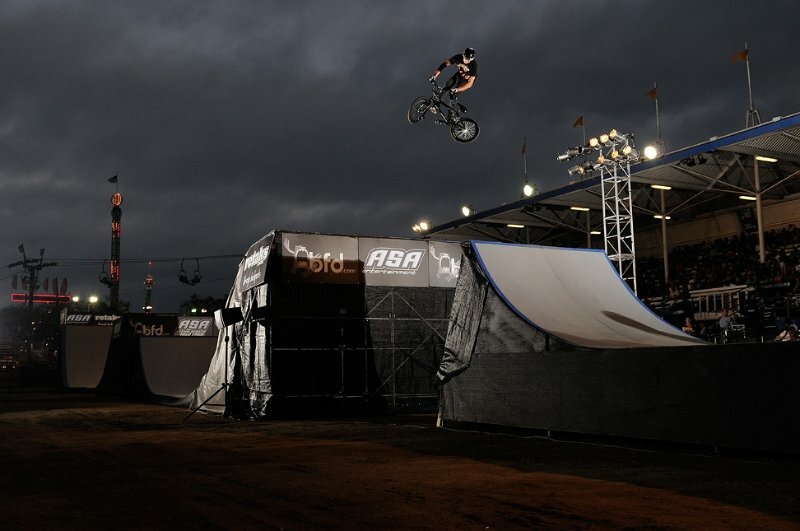 TJ Ellis attempted a double tailwhip flip, Pat Casey brought out triple tailwhips, and Mike “Hucker” Clark and Ryan Guettler both fired out double backflips.